The True Gossip Home / PETE AND ASHLEE'S PIC WITH BRONX! PETE AND ASHLEE'S PIC WITH BRONX! 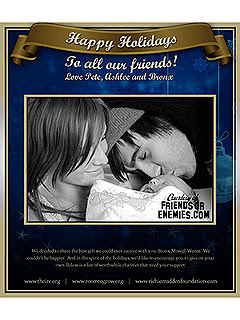 Here is a photo that was posted on the Internet of Ashlee and Pete with their new baby, Bronx. The photo was posted on friendsorenemies.com. An insider says, "The three couldn't be happier."